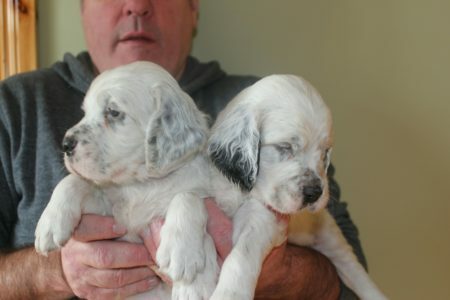 Our litters are planned in advance with careful thought to pedigrees and temperaments and where appropriate for the breed our dogs are hip scored and eye tested. 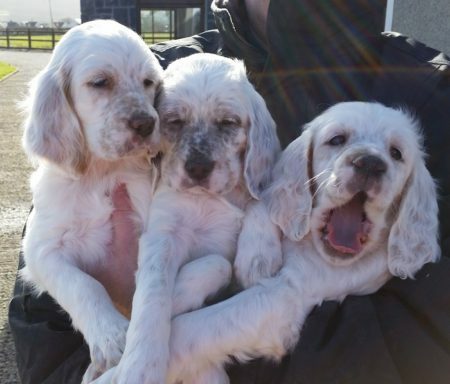 All our puppies are Kennel Club registered, microchipped, insured and supplied with comprehensive puppy packs which includes diet sheets and training information. 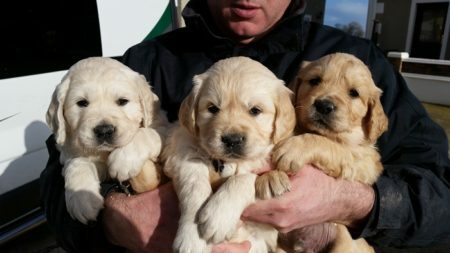 It goes without saying that we are available to discuss any issues you have with your Bushbane puppy during its lifetime. 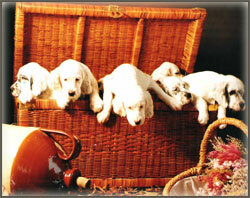 If you are interested in a Bushbane English Setter or Golden Retriever puppy please feel free to contact us.